"Prahran House by Ritz&Ghougassian is one of the first homes completed by the practice. Among other things, it explores an interest in modularity – both in following the geometric order established by the module of a concrete block, as well as in the planning. This involves some elements being replicated and contributes to the efficiency of the design." "The 2018 finalists of the globe-spanning Australian Interior Design Awards are in, and Victorian practices and projects represent a hefty slice of the shortlist. Judges selected a number of projects from Melbourne as well as interiors in United Kingdom and China designed by Melbourne-based firms. In the hospitality category, which includes hotels, bars, cafes and restaurants, Victorian projects dominated, accounting for more than half of the shortlist. 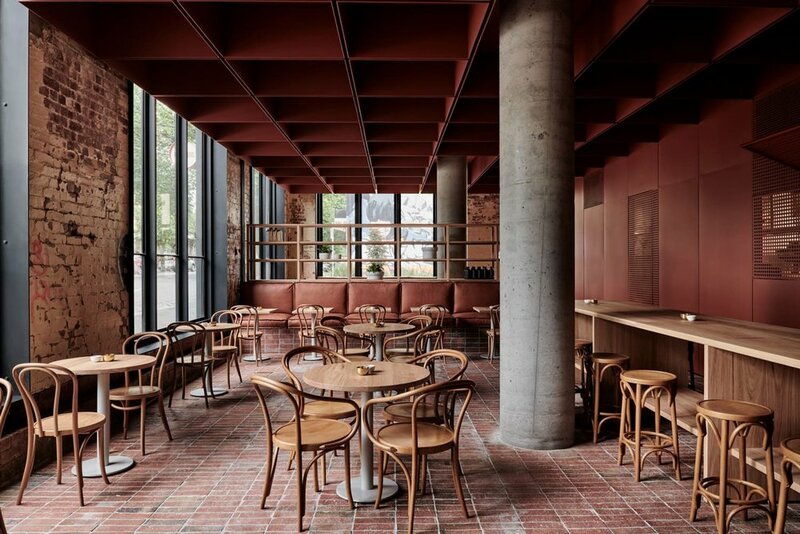 Finalists included ... Fitzroy’s Bentwood cafe by Ritz & Ghougassian"
"The shortlist for the 15th annual Australian Interior Design Awards was released on 21 March 2018. In the Residential Design category, 48 projects have been shortlisted." 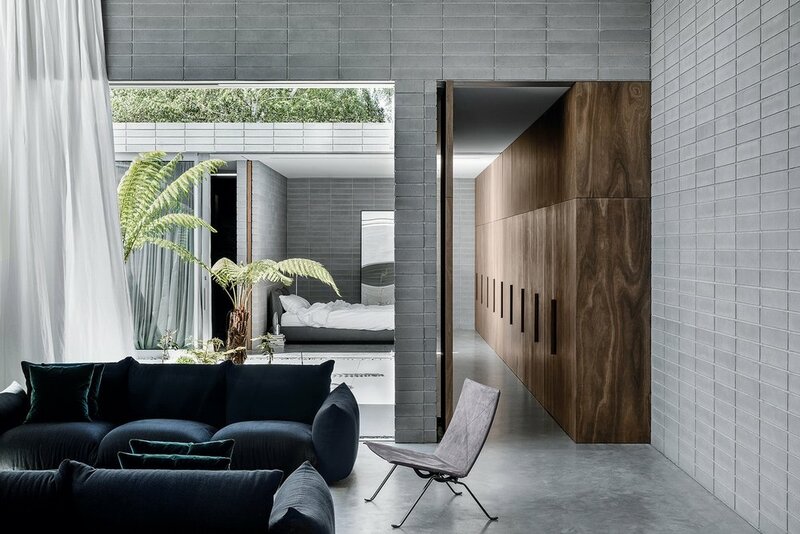 "The shortlist for the 15th annual Australian Interior Design Awards was released on 21 March 2018. In the Hospitality Design category, 38 projects have been shortlisted." "The café’s interior pays homage to the old custodians of the space and the site’s historic archetype as a furniture workshop under the name of CF Rojo & Sons and later as the Thonet furniture showroom. The café is furnished in Thonet’s iconic pieces and beautifully detailed joinery in the perfect shade of delicious deep red." "Design firm Ritz & Ghougassian’s fit-out for Morris and Heath won the Best Cafe Design category 'for bringing high-end design to Melbourne’s western suburbs.' Morris and Heath, in Hoppers Crossing, is a warm yet sleek cafe, with extensive and dramatic timber panelling on its walls and ceiling." "Morris and Heath is a holistically considered interior, bringing high-end design to Melbourne’s western suburbs. The interior successfully creates its own moment, its own place, warm and comfortable with its disciplined palette of wood and strategically placed lighting."